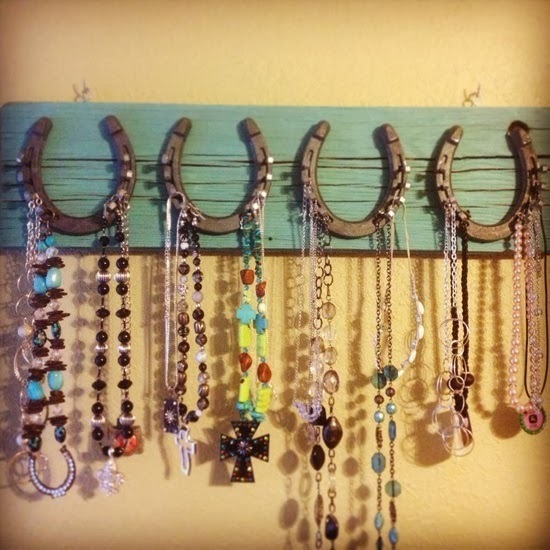 Looking for the perfect DIY gifts and crafts for horse lovers? These are 10 clever ideas to create something unique and personalized. I’ll be making some this year for my trainer, horse-sitter and a few of my horsey friends, all of whom are impossible to shop for! Every Christmas I struggle with what to buy and how much to spend, so these DIY options are a welcome change. Equestrian art pieces can be very expensive, and often hard to find. I love this unique DIY Stamp Art (see details here). You can also print a favorite quote, joke or image and place in a simple frame. For inspiration, check out my Pinterest board Savvy Horse Quotes & Jokes. You can make just about anything out of horseshoes, and there’s never a shortage of them around the barn. Even something as simple as a shoe nailed to colorful barn board would make a thoughtful gift. I remember making these as a kid, and still have a few tucked away that remind me of Pony Club shows from many years ago. These are a fun way to add some color to schooling tack and are easy to make. Step by step instructions can be found here. If you’re looking for a way to use your old Breyers horses this is it! Just spray with chalkboard paint ( 2 coats) and allow to dry. They can be used as place settings, as pictured above (directions here) or my personal favorite is large model horse that can be used to write notes, quotes etc. My kids love these too. If you live in a cold climate, a bit warmer will be much appreciated! There’s great instructions found here. For those of you with a knack for working with wood (unfortunately that’s not me), this would be welcome addition at any barn, or house in the country. Here are the directions. This project has been on my to-do list for a while. All those knots are intimidating, but there’s some great resources online (and videos as well) that can walk you through it. These DIY Sugar Cubes are cute and easy to make (maybe with Holiday colors and shapes?). Homemade horse treats make a fun gift too. Update: see Ultimate Guide to Homemade Horse Treats Recipes. for more ideas. Check out my recipe for DIY Dirty Rider’s Homemade Hand Scrub. This is so simple to make, and is a great last minute gift idea. Anyone who works around horses will appreciate a bit of pampering for their hands! Looking for more DIY ideas? Check out the eBook, Savvy Guide to D.I.Y. 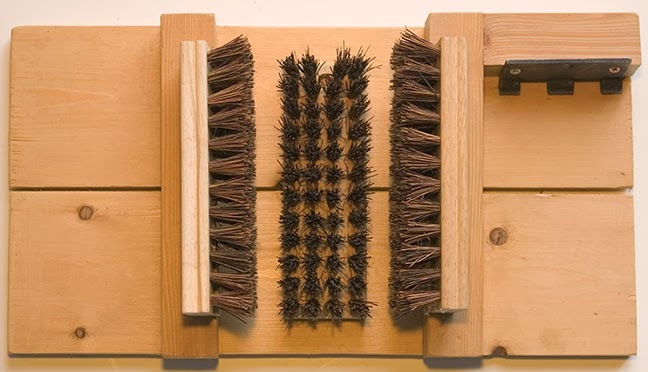 Horse Care for homemade grooming product recipes. What’s your favorite DIY gift for horse lovers? I've been looking for some inexpensive craft ideas for my horse-loving friends. Thanks for sharing! I absolutely LOVE the chalkboard horse. We sell horse properties in the Kansas City area and this would make an adorable and personal house warming gift for our clients. Thank you for sharing!